The Magic Kingdom Storybook isn’t your typical Disney theme park book, but it will become of your favorites. Books about theme parks fall into two major categories: guide books and history books (okay, there are also books on social discourse). There have been a few fiction titles that have received acclaim while most seem to fall short. The Kingdom Keepers series resonated with teens and tweens and alienated most adults based on the inaccuracies and flights of fantasy. I’ve been pleased with the fiction titles from Bamboo Forest Publishing and Orchard Hill Press. I always look forward to their future releases. When it comes to books for children about Disney parks, Meet Me in the Magic Kingdom by Kathy Jakobsen was the only one that came to mind. That was until Jason Grandt wrote and illustrated The Magic Kingdom Storybook. Jason Grandt is an Imagineer working on various projects at Walt Disney World. One of his more recent projects was the Princess Fairy Tale Hall and I know he’s still designing the perfect food tray for Epcot. When I heard about The Magic Kingdom Storybook, I was pretty excited since I knew Jason was a huge fan of the Magic Kingdom and its history. The Magic Kingdom Storybook is a picture book written for elementary-aged school kids but it’s going to be enjoyed by any Disney fan. 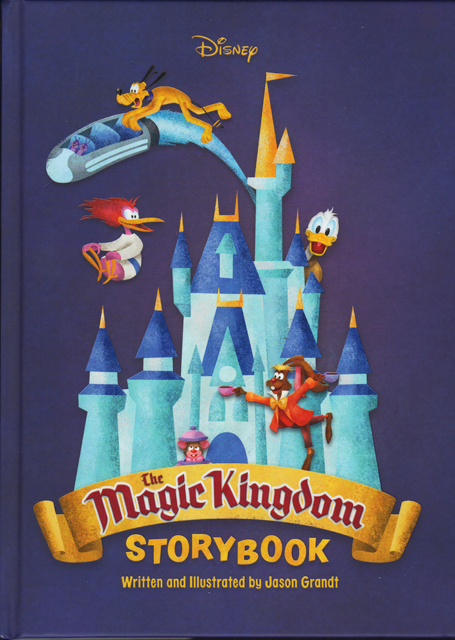 Fans of Disney parks, and especially the Magic Kingdom, are going to love The Magic Kingdom Storybook. The book is composed of five chapters, each one based in a different land of the Magic Kingdom. I don’t want to give away too much of each story, because it’s really great to experience the stories for yourself. 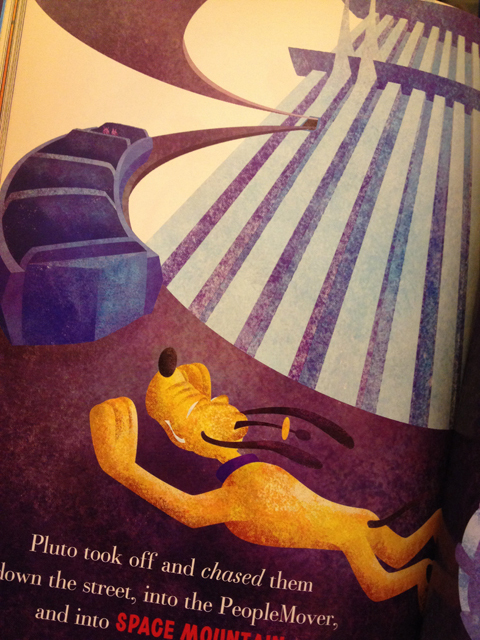 The chapter titles do offer some tantalizing insight: A Home on Main Street; Donald’s Wild Bird Chase; the Modest Tea Party; Lookin’ for Your Laughing Place; and Pluto’s Mission to Space. 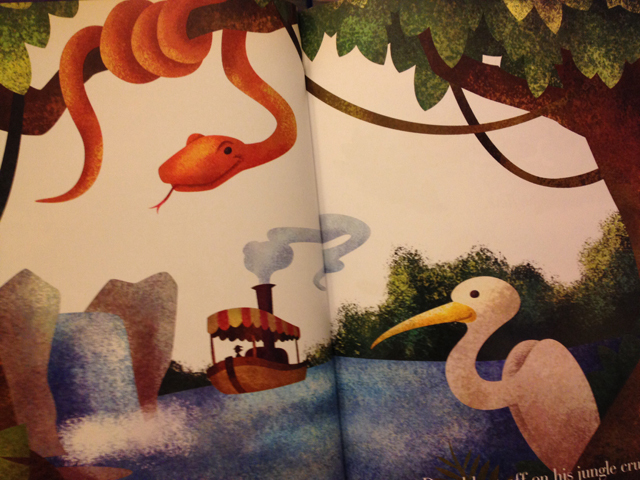 The book is illustrated beautifully. It looks like a combination of traditionally drawn art and computer art. It’s filled with vistas of the Magic Kingdom—views that will be very familiar to fans. Jason also includes some favorite characters, like Donald, Chip and Dale, the Mad Hatter, Pluto, Brer Rabbit and a new character created by Jason. The stories are charming but I would buy the book for the illustrations, alone. Jason includes some great tributes to the Orange Bird and Epcot in the book. (Can you find the tributes?) It’s obvious that Jason’s a Disney nerd and it shows! As of this writing, the book is only available at Walt Disney World and Disneyland. You can check Amazon, but it’s going to be through a third-party and probably more expensive. This book is really amazing and every Disney fan should pick up a copy. I hope that Jason is able to do something similar for Epcot! I am very excited to see Disney publish a book about the Magic Kingdom like this. They’ve given an artist the opportunity to paint the best of the Magic Kingdom, not only as an adult would see it, but possibly what he sees through the eyes of his child. I felt like The Magic Kingdom Storybook was a great way that a parent could relate to a child about the magic of the Magic Kingdom. Also, the fact that Jason was allowed to create some original stories within the Magic Kingdom, using already developed characters, speaks a lot. The stories were a lot of fun, too! I do hope that Jason, and other artists, are able to continue this and create more age-appropriate storybooks for the Disney parks. So, can Jason create the Epcot Storybook? Have you picked up The Magic Kingdom Storybook, yet? 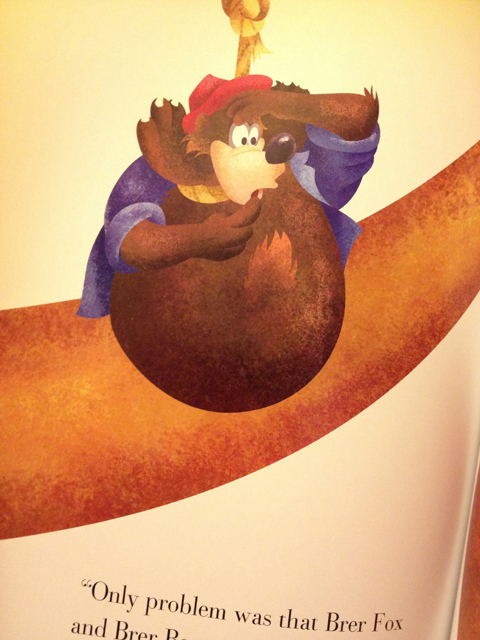 What do you think about a children’s book about the Magic Kingdom?